(RRP £279.99). 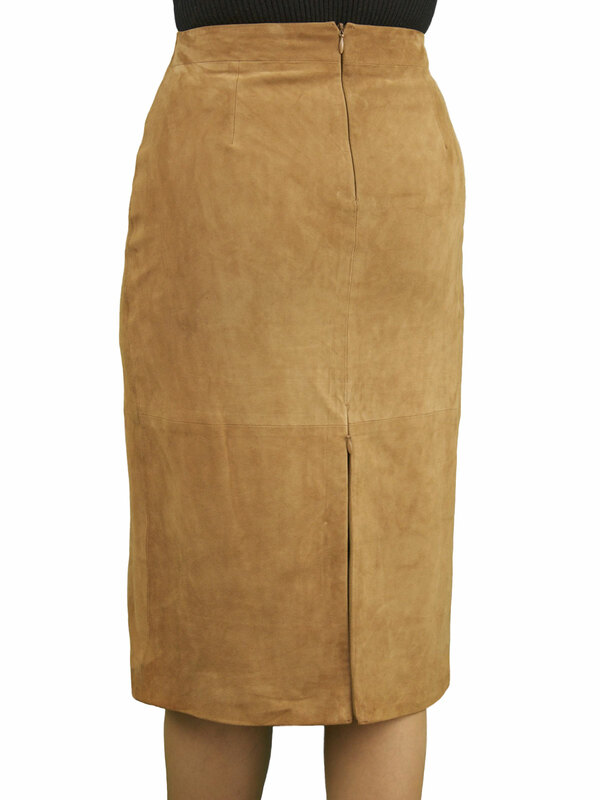 So elegant – this suede leather pencil skirt in finest quality, sumptuously soft pale tan suede is perfect for smart wear. It is a below knee midi length (26in from the waist) and has a fine hidden zip in the back seam that you can open for added style and also extra room for movement. Fully lined. By Ashwood. 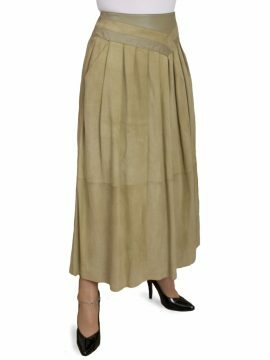 An elegant and exquisitely-tailored pencil skirt in fine quality, luxuriously soft and smooth pale tan suede. It is styled for a close shapely fit and emphasise your curves. It features a fine hidden zip at the rear hem which you can leave closed as part of the back seam or open as a vent to be stylish and have extra room to move. By Ashwood. Note: Also available with an open back split/vent in place of the zip and in a shorter length with zip vent.